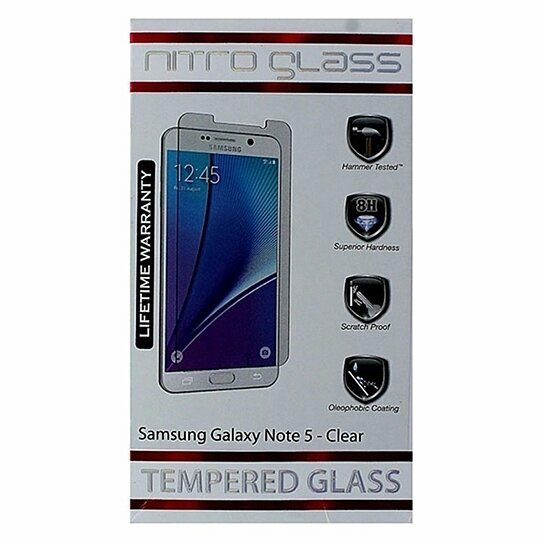 ZNitro products, Tempered Glass Screen Protector for Samsung Galaxy Note 5. Clear finish. Hammer tested. 9H Hardness. Scratch proof. Oleophobic coating. Silicone adhesive for easy install.